The Metropolitan Real Estate Academy is licensed with the New Jersey Real Estate Commission. The academy was established in 2014 to meet the modern needs of those seeking their real estate license and for the continuing education of professionals in the Real Estate Industry in NJ. We are conveniently located in Morristown, NJ. Our professional offices in a prominent building provide easy access and ample parking. The training facility provides the optimal learning environment complete with an interactive white board with internet access. Our Academy Director Ian A. Wolf has a wealth of knowledge to share from over 13 years of real estate experience both as an investor and a real estate sales professional. Currently he is an award winning broker-associate and licensed real estate instructor at Keller Williams Realty Metropolitan in Morristown, NJ. 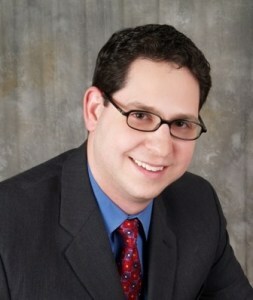 He has specialized knowledge in 55+ communities with townhomes and condos , mid-rise communities, and new construction. Prior to joining Keller Williams, Ian had launched his own Real Estate Office which he successfully brought to award winning status with over 45 agents in less than 3 years. Before striking out on his own, Ian specialized in new home sales for one of the largest builders in the country. While there he sold over 200 new homes and won numerous sales awards. His broad experience has made him well versed in contract negotiation,attorney reviews,coordinating closings, taking mortgage applications and assisting in program selection,while managing the construction process. He has owned multi-family and single family rental properties, has experience in lease options, rehab,short sales,with extensive knowledge in buying/listing homes in foreclosure. Ian has his ABR designation,SFR Certification,and is a 203k Specialist. He has earned the distinction of achieving the NJAR Circle of Excellence Award for the years 2009-2013. He serves as a member of the Housing Partnership Advisory Committee in Dover. If you believe as we do that the diverse experience and personal success Ian has achieved in real estate will add immense value to your training experience, then the Metropolitan Real Estate Academy is where you belong for your best educational opportunity.